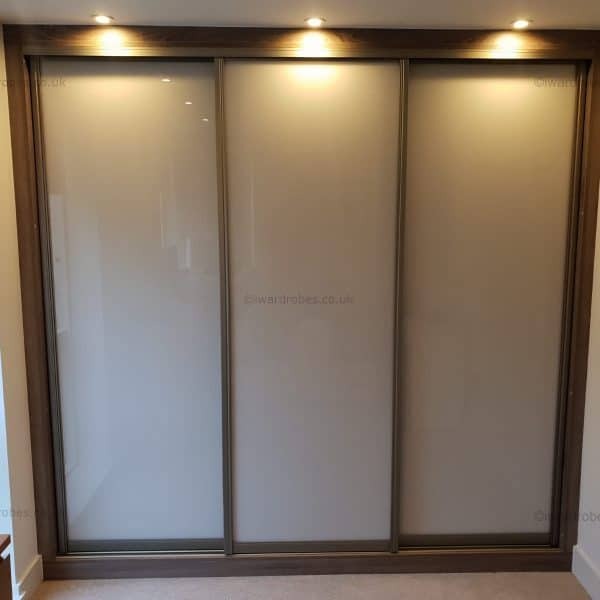 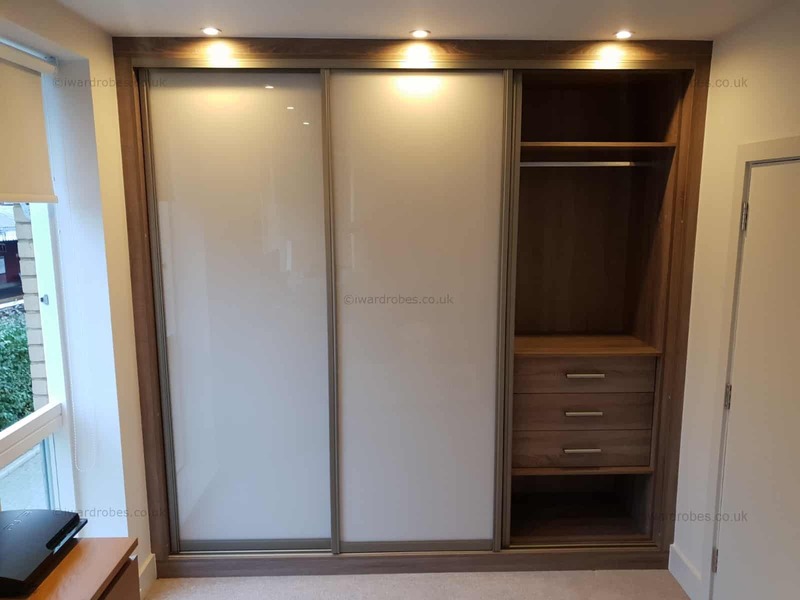 Fitted sliding door wardrobe Embankment is another modern wardrobe created for one of our customers. 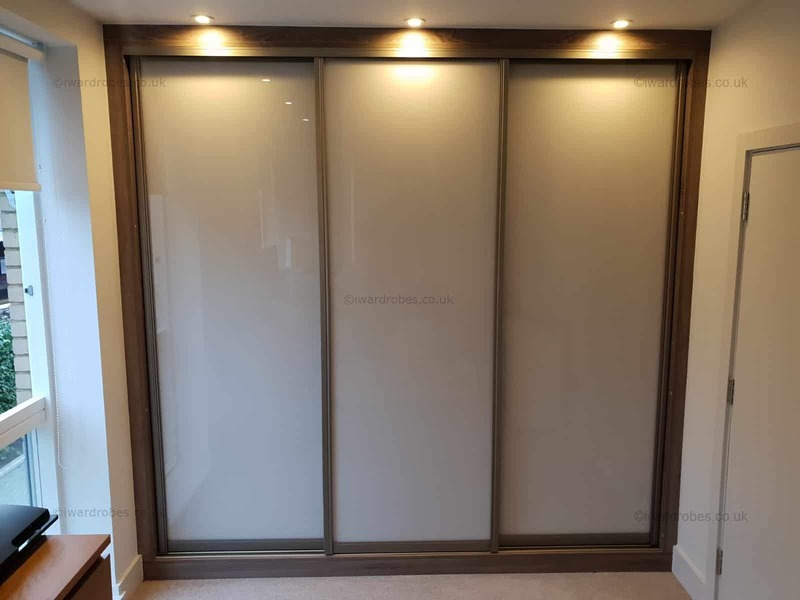 The sliding doors were made of high quality light cream lacquered doors with light frames. 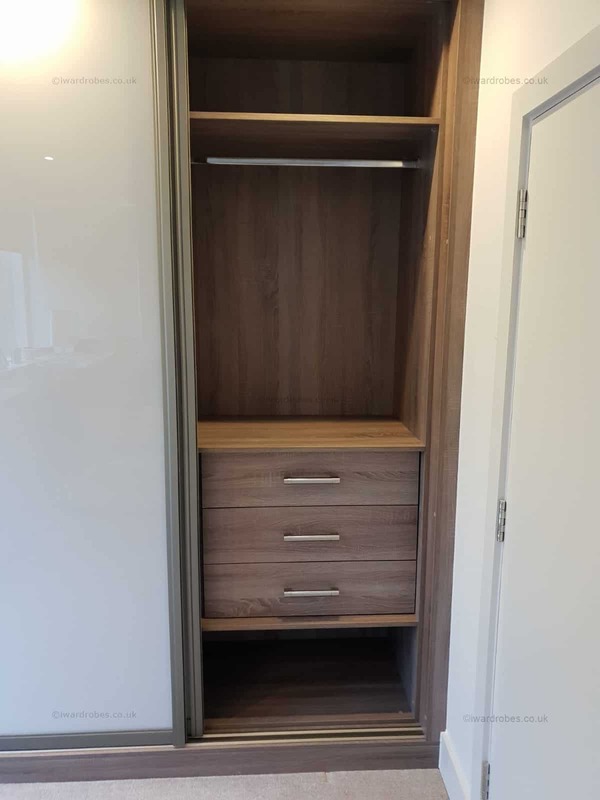 The interior and infills of the closet are made from the material manufactured by the renowned company Egger and the wood-effect option has been chosen to match the wooden bed carcass. 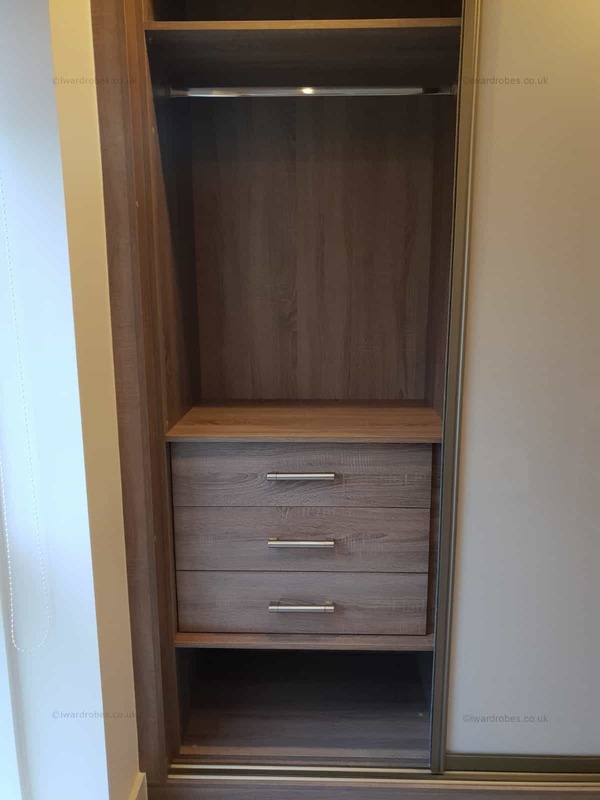 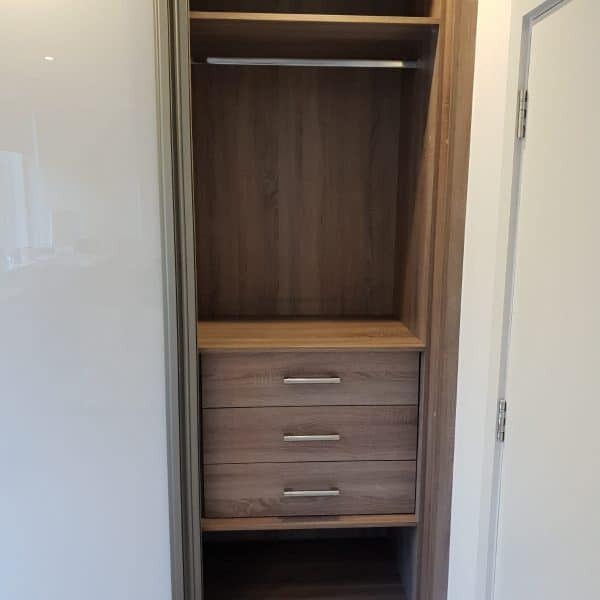 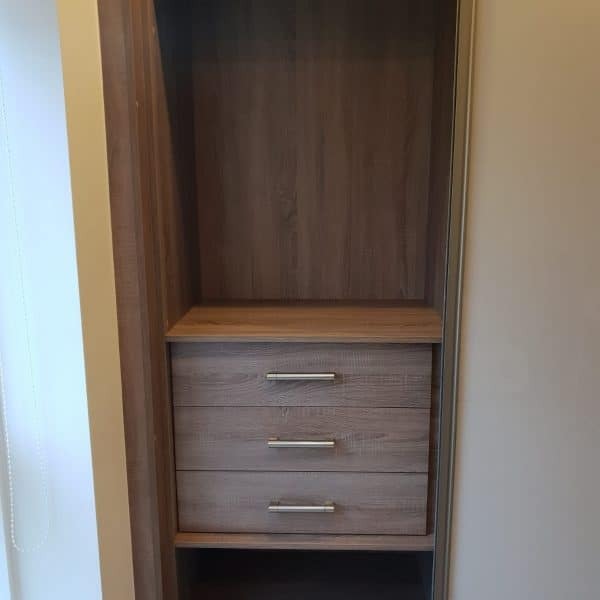 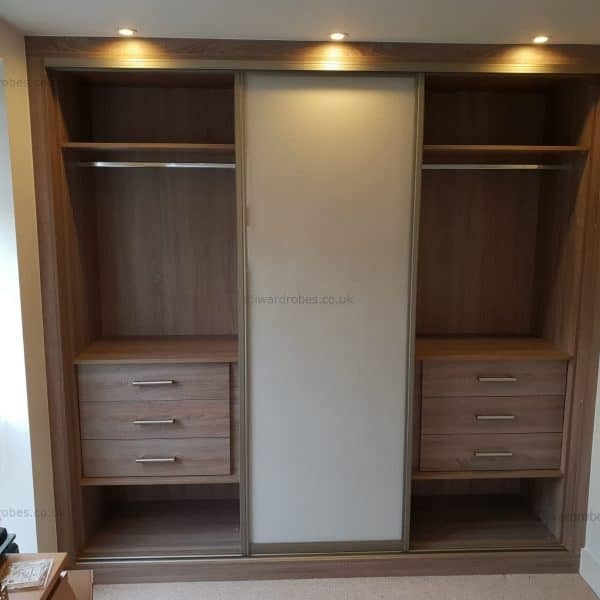 The featured of the wardrobe include 3 fitted drawers, hanging rails in 2 sections, shelving in the middle section and the shoe shelves in the bottom of each part of the wardrobe. 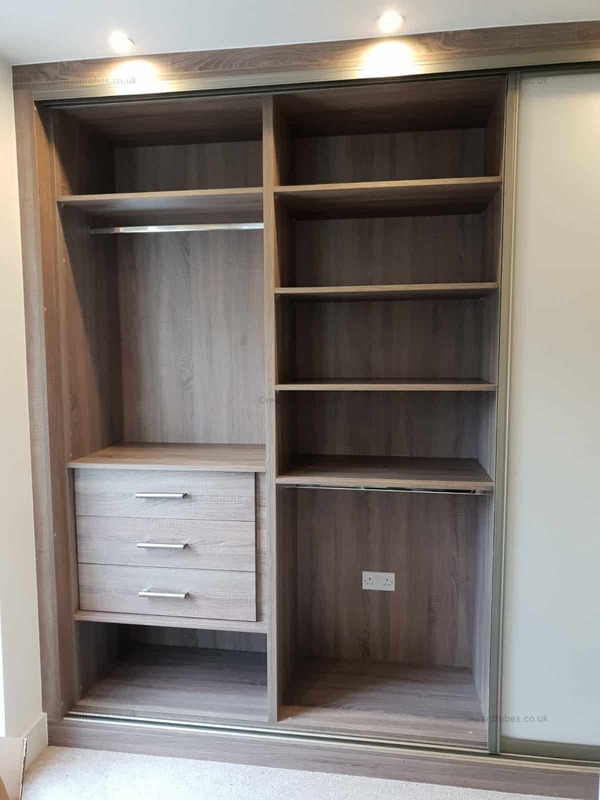 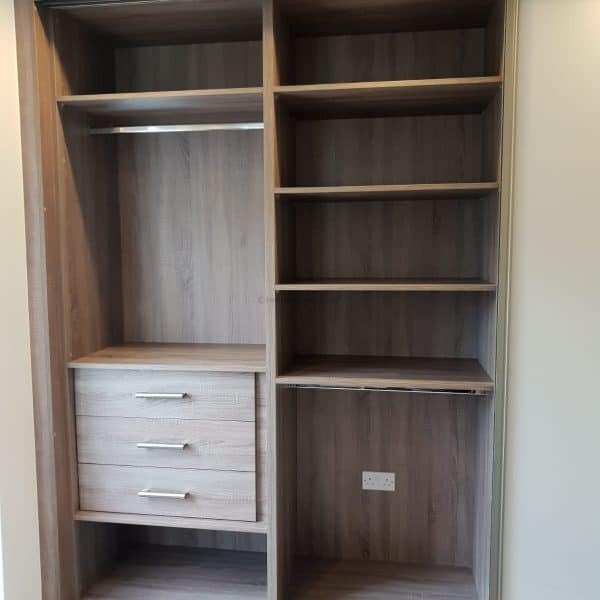 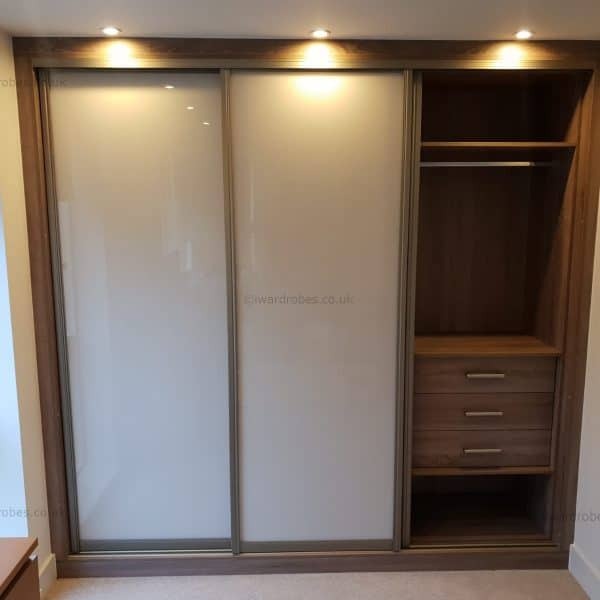 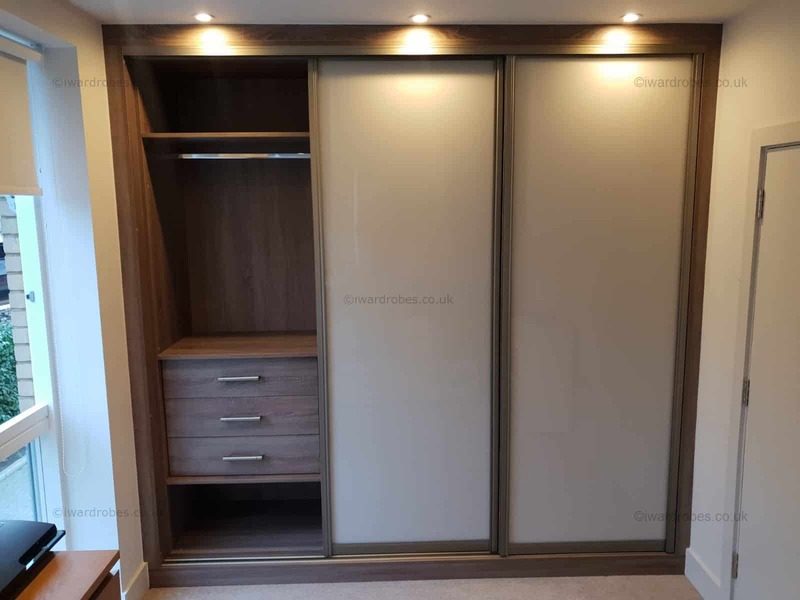 The classy looking carcass of the fitted closet looks great with modern lacquered glass doors making the whole unit look elegant yet contemporary and up-to-date. 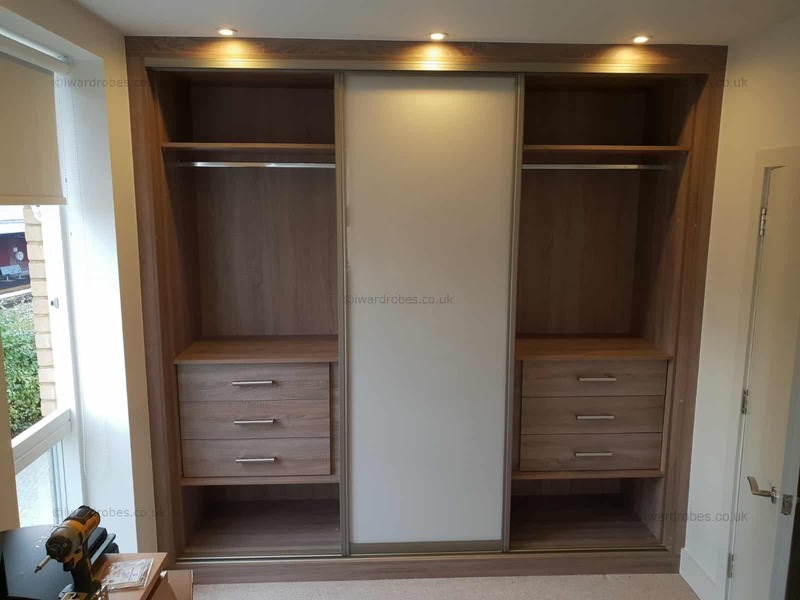 At i-Wardrobes we give our customers a chance to become a designer of heir own wardrobe. 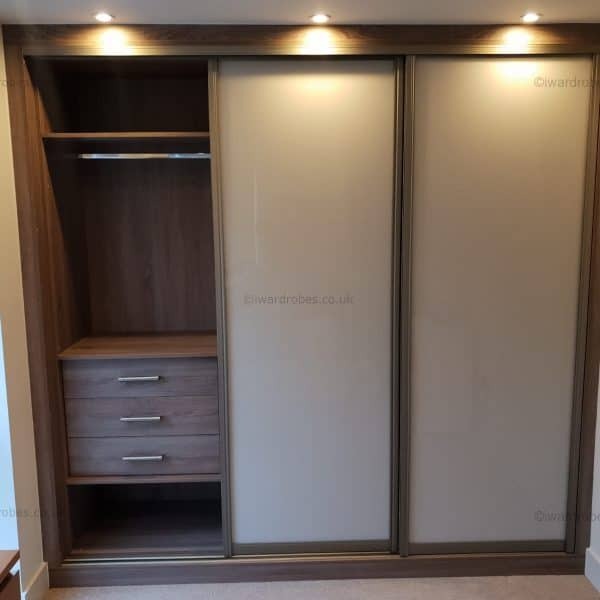 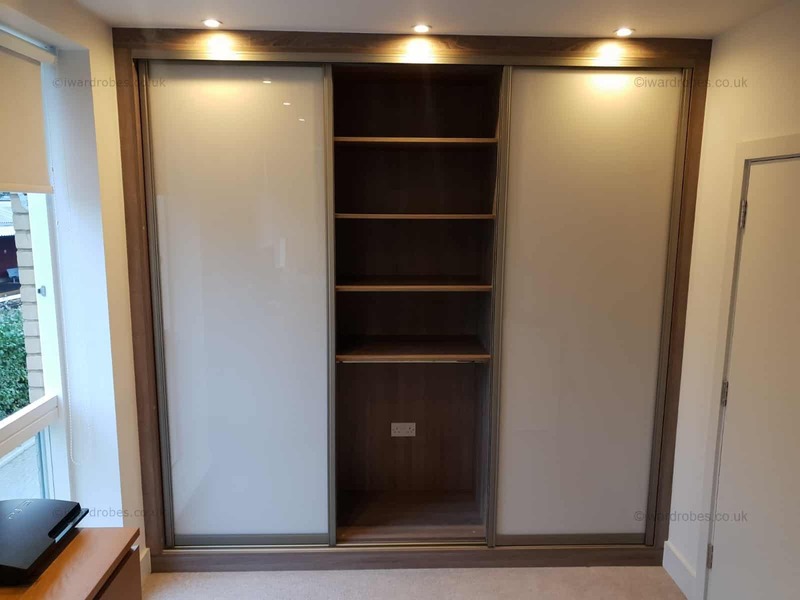 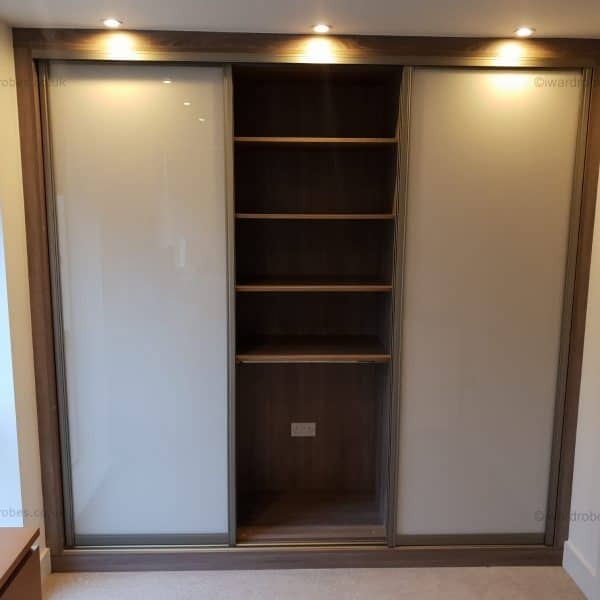 While we offer a range for those looking for some ideas and inspiration, we are always ready to help you to create a truly bespoke closet that would not only look appealing but also would become the enjoyable piece of furniture.